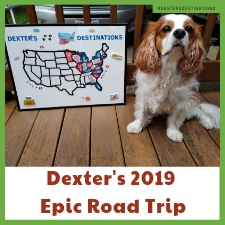 Dog-friendly vacations are always best with friends, so I invited Dexter’s BFF, Levi, and my friend Chris. Our dog road trip to Wilmington, Delaware was about to begin. 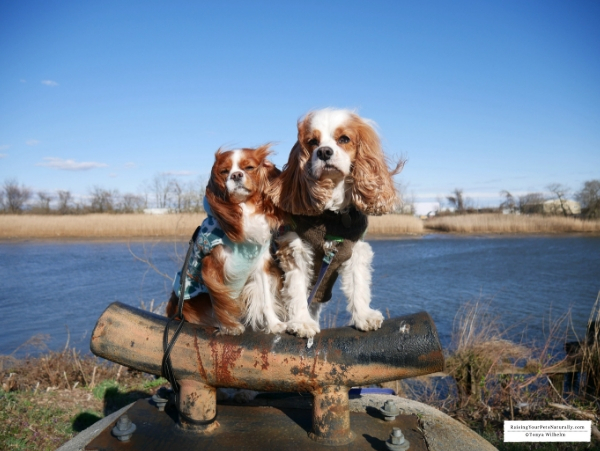 Dexter and Levi really do seem to enjoy their dog-friendly road trips. 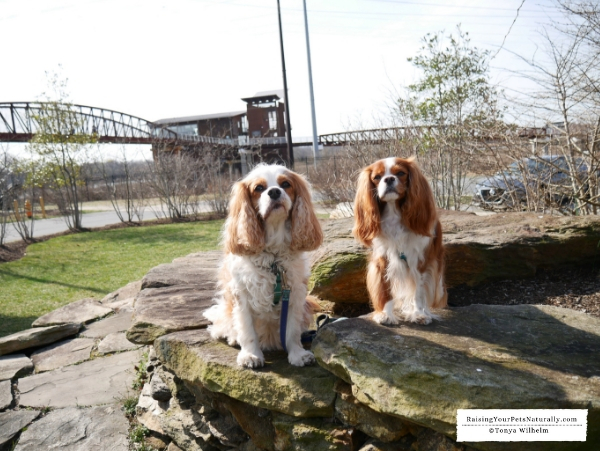 I think one of the reasons they have so much fun is they get to go along on all the fun sightseeing opportunities, dog-friendly cafes, and other fun dog walks. But, most of all, they get one-on-one time with their human moms. I know, for me, traveling with Dexter is a great way to reconnect with Dexter and provides me a true way to disconnect from work. Watch the video vlog and don’t forget to subscribe! 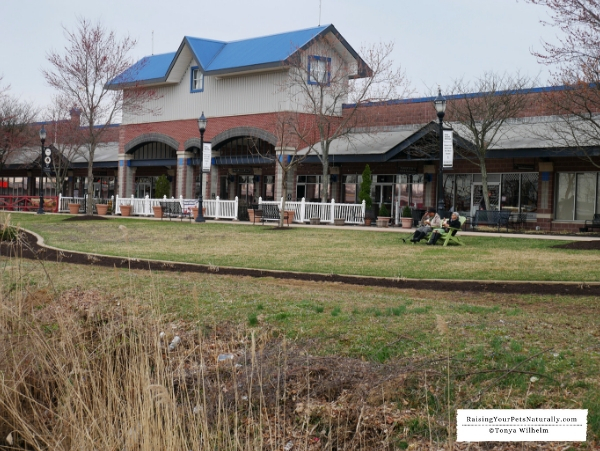 When we arrived in Delaware, our first destination was the Biden Welcome Center. 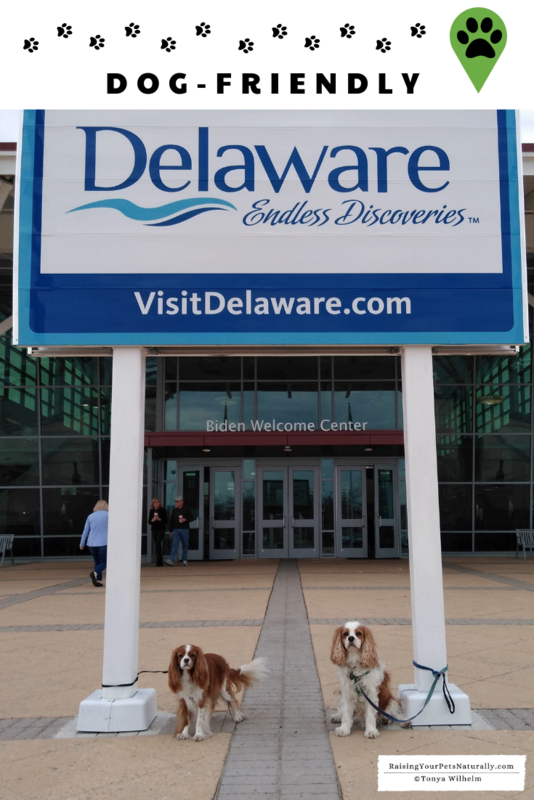 We had to shoot a photo of the boys in front of the Delaware welcome sign. But, the welcome center was much more than just a great photo opportunity. Travelers can take a rest, grab some food, beverages, and even do a little tax-free shopping for souvenirs. But, not us. We had other plans for lunch. We had to, yes, had to go to PureBread Deli in Greenville, Delaware. Why, you may be asking yourself, do all the menu items and decor revolve around dogs? 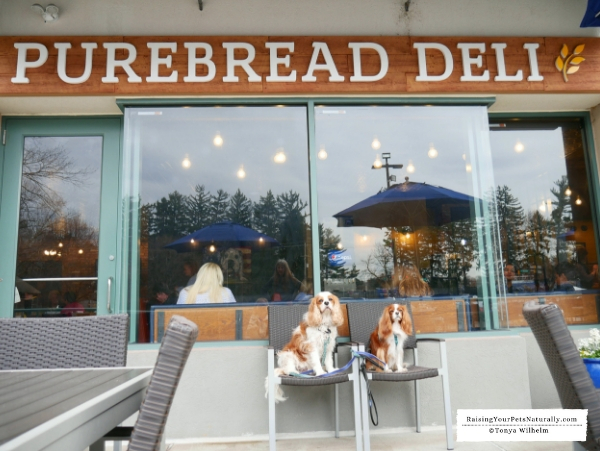 PureBread, Pure Breed….ah, now you get the picture. I would have been happy with just that, but PureBread Deli is so much more than cute menu names. Purebread has gone to the dogs! PureBread controls the production of nearly all their ingredients and products. Their fresh products are made, baked, and prepared daily by their own culinary team in their state-of-the-art kitchen in Wilmington, Delaware. Both Chris and I went for the Basset Hound sandwich. 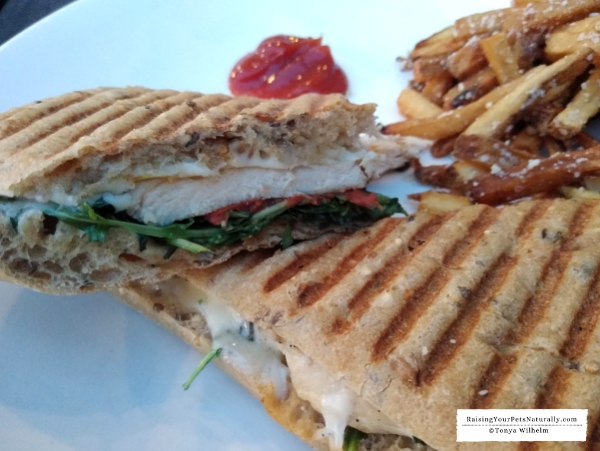 This veggie sandwich was filled with roasted portobello mushroom, Swiss cheese, caramelized onion, arugula, and roasted garlic aioli sauce on fresh multigrain bread. I did substitute the Swiss for provolone cheese. We settled the dogs in a perfect spot on their dog-friendly patio. When our food arrived, I was more than ready to dig in. I could totally tell the sandwich was fresh with wholesome ingredients. It was toasted to perfection and had a mouthwatering earthy taste. It was a perfect choice for lunch. After our devouring our delicious lunch at PureBread, we needed to walk and stretch our legs. We headed over to the Riverfront along the Christina River. All four of us really enjoyed strolling along the scenic Riverfront. There were plenty of green spaces to allow the dogs a good spot to sniff and potty. 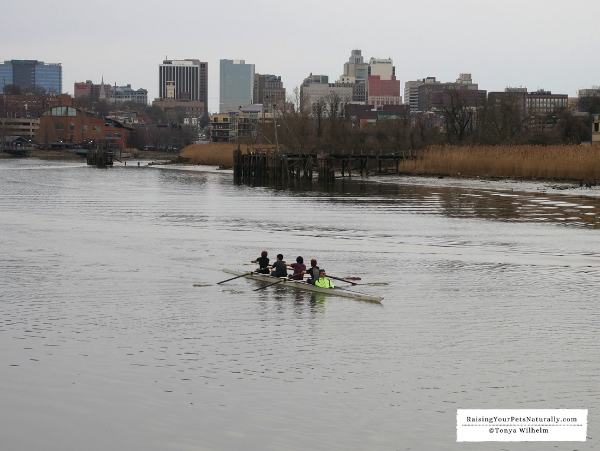 During our walk along the 1.3-mile paved path, we saw so many people enjoying Wilmington’s Riverfront. Joggers, bikers, families, people walking their dogs, everyone seemed to be out enjoying the mild weather and all the great businesses along the Riverfront. There were dozens of places to eat with outside seating. 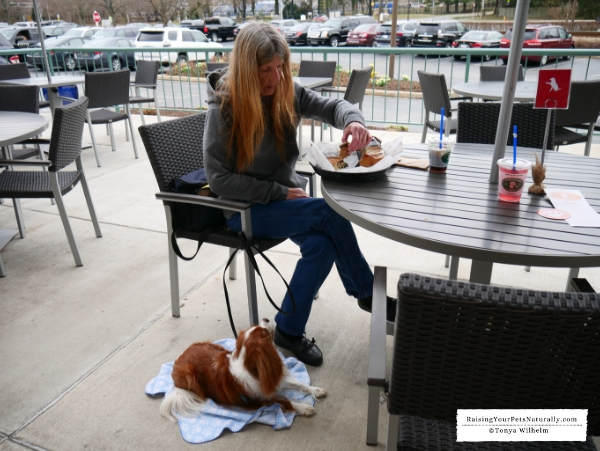 I didn’t ask any if they allowed dogs on their patios, but with that many restaurants with outside seating, my guess is a few were dog-friendly, but we had other dinner plans. 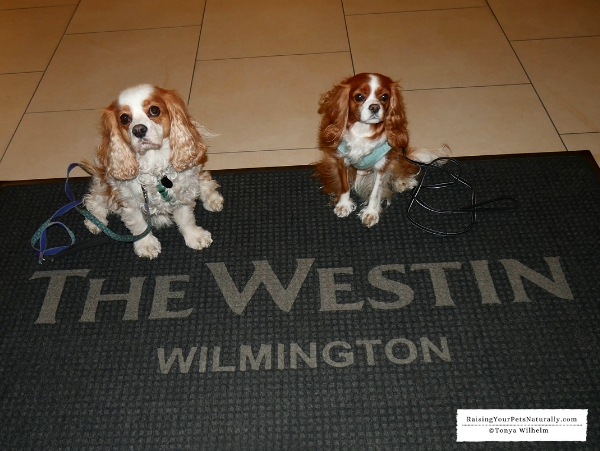 After our Riverfront walk, we were ready to check into our dog-friendly hotel, the Westin Wilmington Hotel. The hotel was adjacent to the Riverfront, making it a perfect spot to call home for the weekend. Pulling up to this sleek hotel, I noticed the large grassy dog potty area. 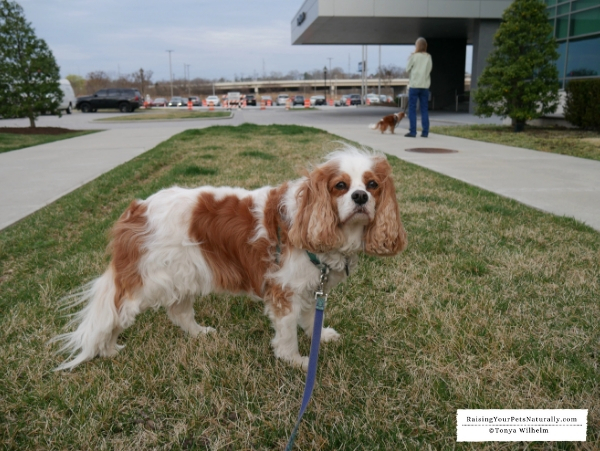 Knowing that when Dexter and Levi needed a potty break, I would have easy access to grass right in front of the hotel was very comforting. The Westin Wilmington hotel staff was very welcoming and helpful. They asked if I preferred a lower or higher-level room, which I thought was extremely nice. 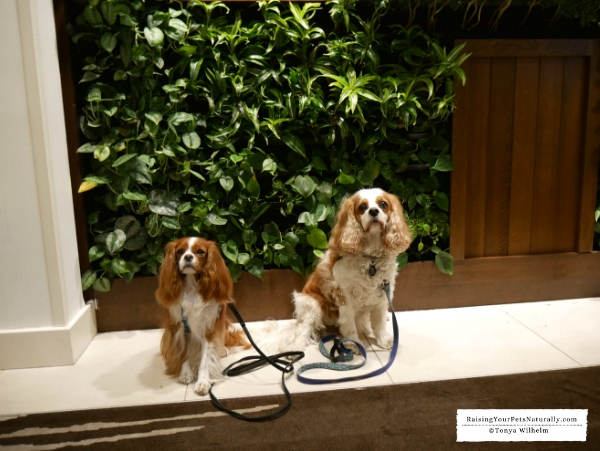 When traveling with dogs, it can be a challenge for some dogs to get outside for doggy potties when on the top floor of tall hotels. The interior design of the hotel was very modern, clean, and soothing. I particularly loved the wall filled with live plants. 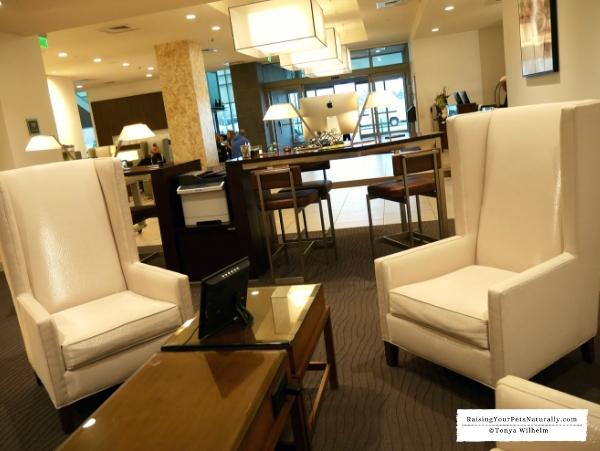 The lobby lounge felt like a relaxing oasis, a perfect spot to relax. Other hotel amenities included a state-of-the-art fitness center, oversized indoor swimming pool, and a very unique business center. Our dog-friendly suite was gorgeous and spacious. The dogs had plenty of room to move around, investigate, and stretch their legs. I had a large work station and high-speed Internet access. All suites are equipped with a mini refrigerator, which is a must for our fresh-fed dogs. It was the perfect size to hold their food for the weekend. Also included was a one-cup coffeemaker, ironing board, hairdryer, laptop safe, and 42” flat panel, high definition television. After we all unpacked, rested and freshened up, our tummies were rumbling. 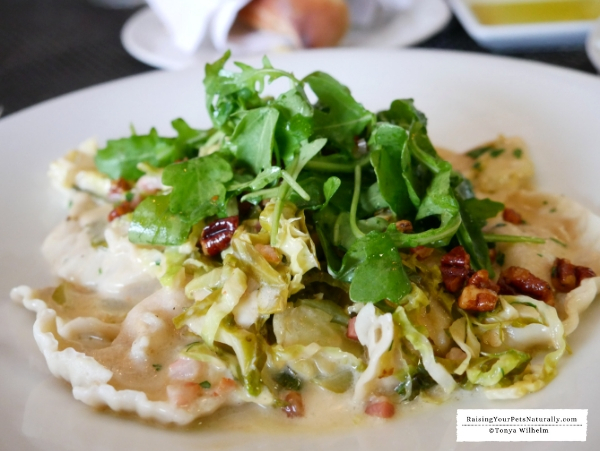 The Westin Wilmington has a signature restaurant on the premises, River Rock Kitchen. 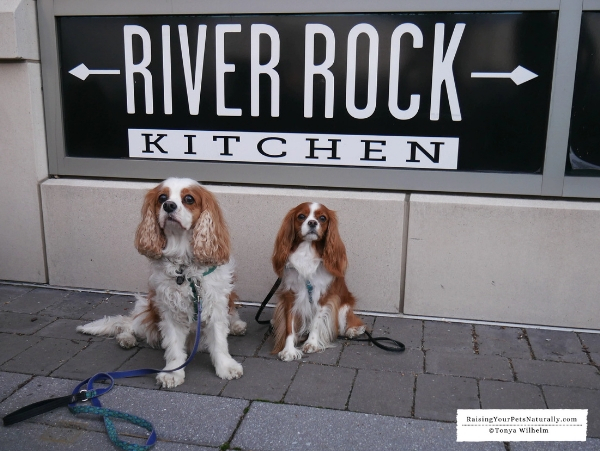 After a quick glance at their menu and learning that their outside patio was dog-friendly, we knew we found a winner. River Rock Kitchen features American fare with locally sourced meats and produce. The outside ambiance was first-rate. The tables had plenty of space between them, offering our dogs ample room to sleep while we dined. The patio was filled with warm lighting. I ordered the slow-roasted turkey club. It was a sandwich day for me. The slow-roasted turkey was accompanied by bacon, cran-maple mayo, lettuce, and tomato. Chris ordered the Riverfront burger with bacon. We both had to try the house-cut fries with black pepper and Parmesan. Oh,. La-la. Our delectable dinners hit the spot. I really enjoyed the house-cut fries. 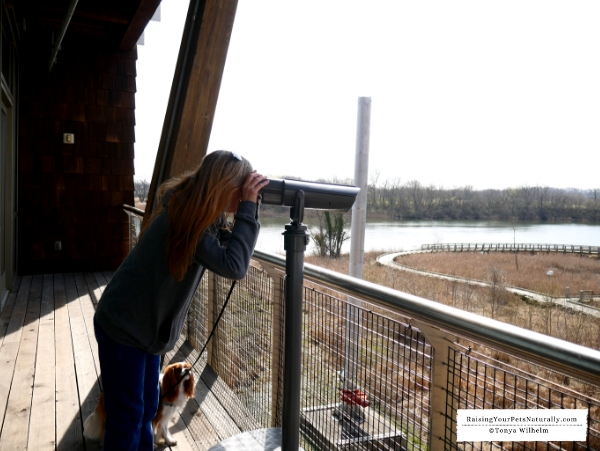 After a restful night’s sleep at The Westin Wilmington, we were ready to explore the DuPont Environmental Education Center (DEEC) Center along the Christina River at the edge of the Russell W. Peterson Urban Wildlife Refuge. The DEEC is open to the public year-round, making this a great spot for locals and travelers alike. 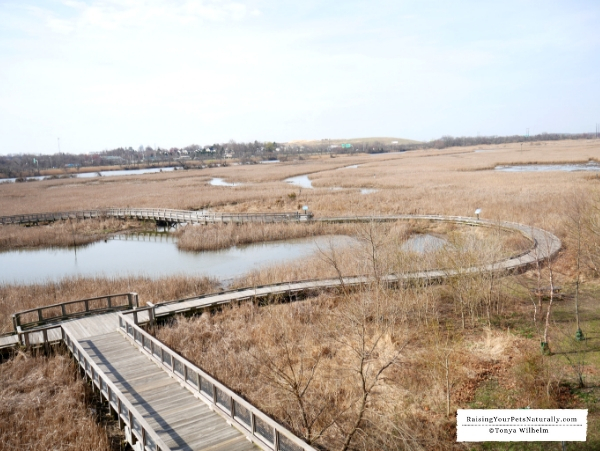 The refuge is vast, with 212 acres of freshwater tidal marsh, and is home to a variety of wildlife including American Bald Eagles, beaver, river otter, turtles, ducks, and belted kingfishers. There is a 10-acre ornamental garden, amazing panoramic river and marsh views, and even a quarter-mile handicap-accessible pond loop. 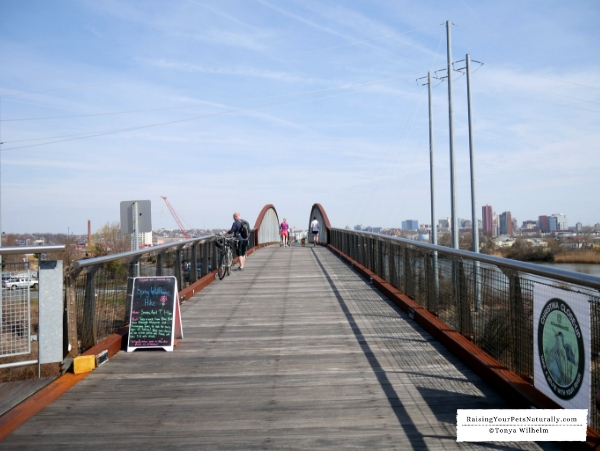 The DEEC doubles as a trailhead to the seven-mile long Jack A. Markell bike and hike trail from Wilmington to New Castle. Dexter and Levi’s sniffers were going overtime with all the smells. Maybe they caught a whiff of a beaver! After exploring The DuPont Center and the Wildlife Refuge, we were starving! 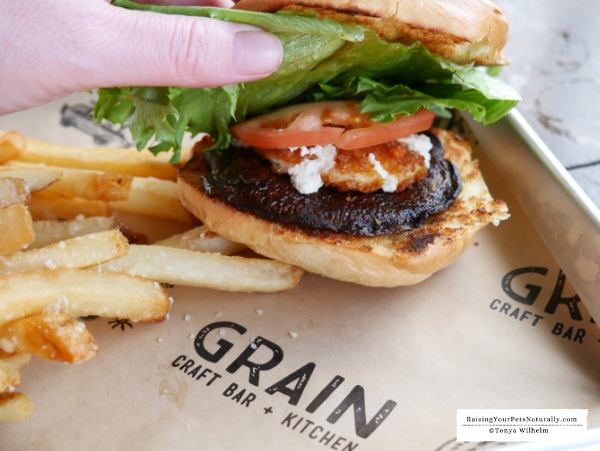 We headed to Grain Craft & Kitchen in Newark, Delaware. Dogs are always welcomed in their covered patio year-round. 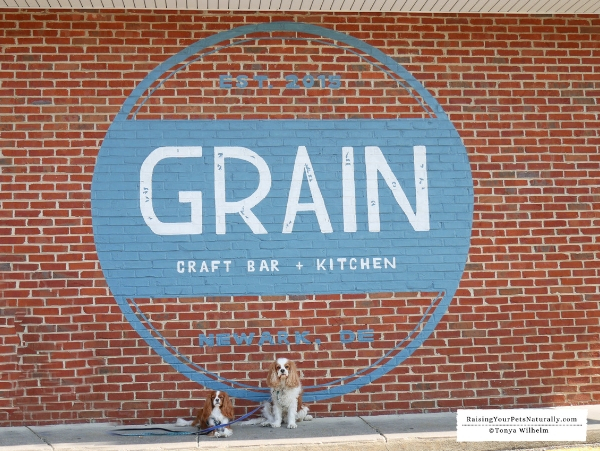 The Grain Craft Bar & Kitchen welcomed Dexter and Levi with a large water bowl and lots of scratches and pets. The mood was energizing and happy. When we read the mouthwatering menu, we just knew we had to try the OMG Crabby Pretzel. 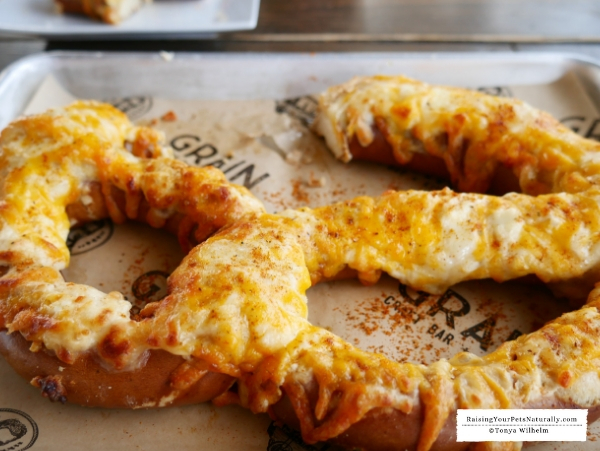 “A warm Bavarian style pretzel as big as your head, topped with crab dip, cheese, Old Bay, and baked till yummy.” OMDOG is right. It was so soft and good. I am not a seafood lover, but the crab was not overpowering and, mixed with the cheese, made this appetizer something I wish I was eating right now. For lunch, I ordered the build-your-own burger, a locally grown and then marinated grilled portabella topped with fried goat cheese, lettuce, and tomato inside a brioche bun. 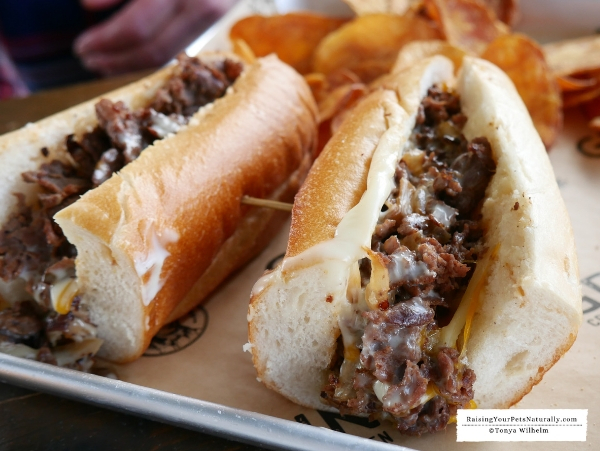 Chris ordered the cheesesteak, their Philly special. Shaved steak, sautéed onions, shredded cheddar, and their yummy OMG cheese sauce. The food was scrumptious. Once again, we had nice full bellies. It was time to walk it off at Rittenhouse Park in Newark. 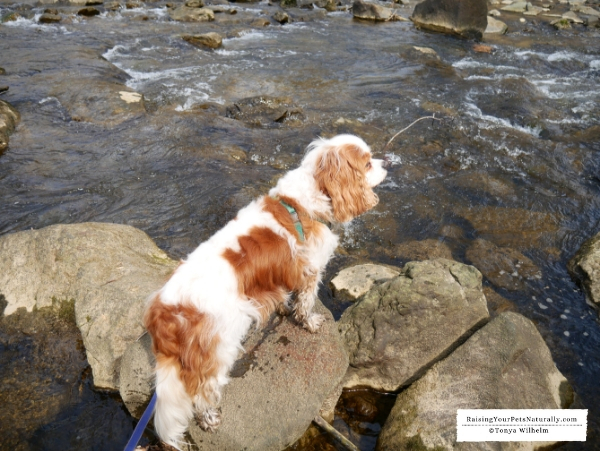 The park had a beautiful stream for the dogs to walk along and in. This was the first toes in water for Dexter this year. He was really excited to climb along the rocks and go belly deep in the water and even found a mud spot to dunk his feet. Yes, he can be quick and get into trouble! The park was filled with families walking, picnicking, and even fishing. One young man caught two fish while I was watching. We decided to head back to the Riverfront and the downtown area for another stroll and some sightseeing. 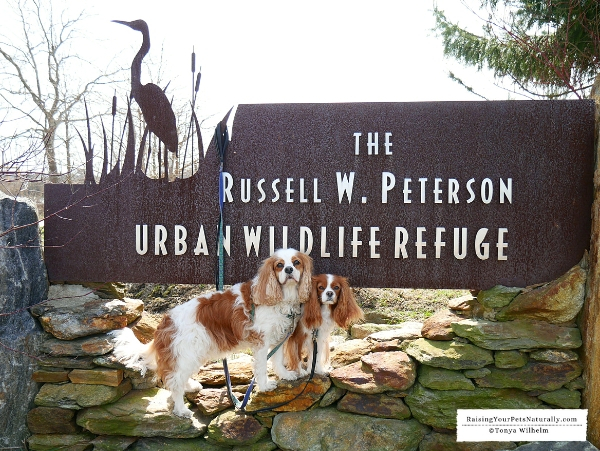 We met up with another Cavalier King Charles Spaniel family that I connected with through Facebook. We’d never met in person, but since she lived in the area, we thought it would be fun to say hello. 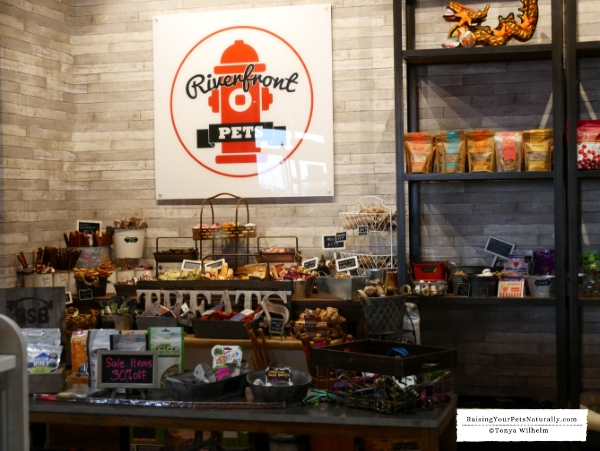 We checked out Riverfront Pets, a locally owned and operated high-quality pet boutique. 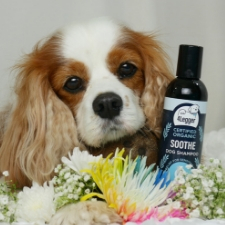 The store was very inviting and offered an extensive line of pet gifts, food, toys, and even a DIY bathing station. As I was shopping, I heard the retail woman offering pet-sitting service to a customer with a shy dog. 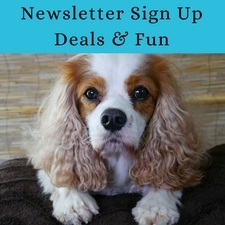 I later found out dog training classes and grooming services are also offered. 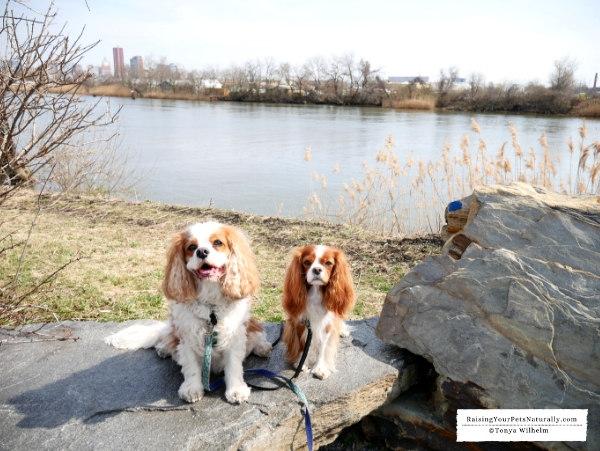 Riverfront Pets is a great spot for both local dog families and travelers. You won’t want to miss this stop during your trip. Dinner was once again calling us, so we set out for Piccolina Toscana, in Wilmington. 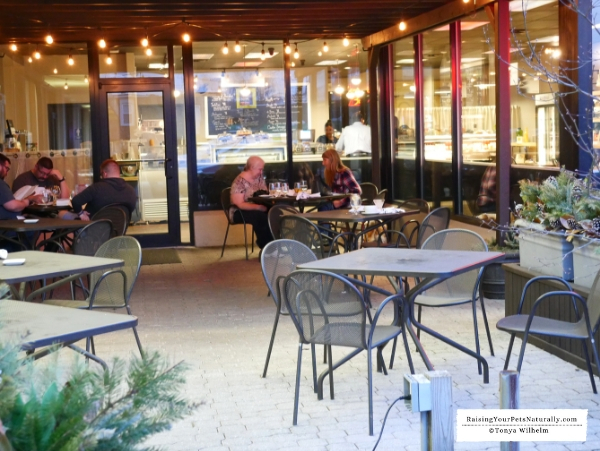 This dog-friendly Italian restaurant offered both a covered and open outside patio. Our neighboring table was very happy to see the pups take their places by our side. The menu was quite extensive. This was not going to be a sandwich meal for me. Instead, I ordered Mezzaluna di Zucca, fresh pasta filled with roasted butternut squash with brown butter, sage, pine nuts and Reggiano. The butternut-squash-filled pasta was exquisite! The pasta was cooked to perfection, and the sweetness of the brown sugar made this dish top notch in my book. Chris went for something lighter and ordered the Kitchen Salad. 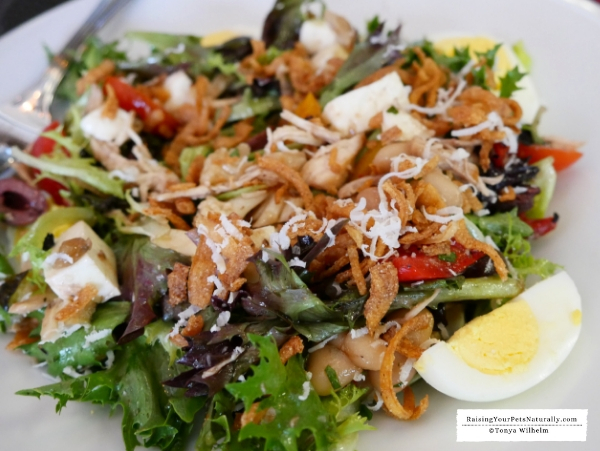 Large salad of local greens, grilled vegetables, chicken, tomato, olives, mozzarella, egg, prosciutto, and crispy onions, with roasted shallot dressing. It may have been lighter, but she said it was very fresh, crisp and filling. 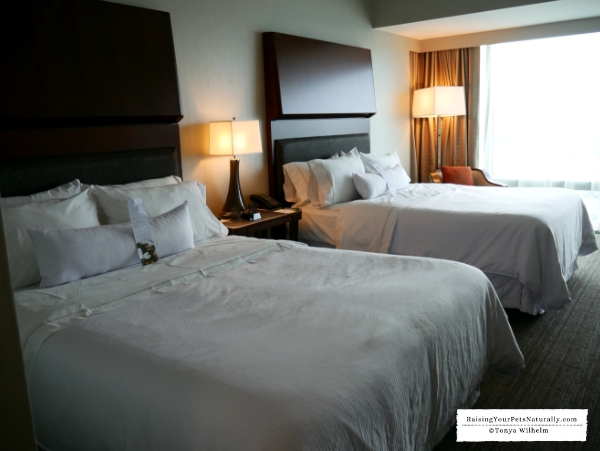 After another full day of exploring Wilmington and the Brandywine Valley area, we were ready to call it a night and head back to the Westin for a good night’s sleep. 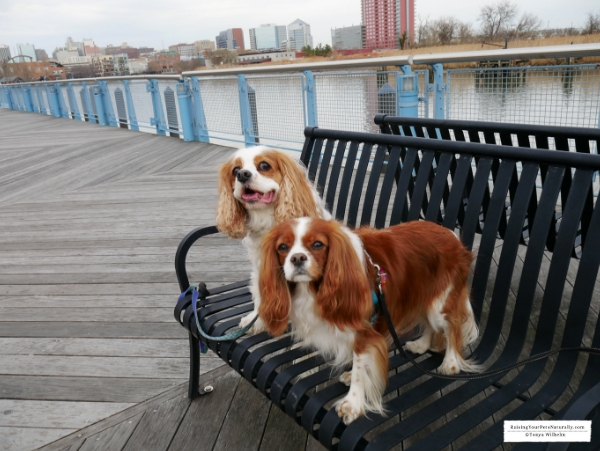 We needed to rest up for a day in New Castle, Delaware and the surrounding area. Stay tuned for that adventure. 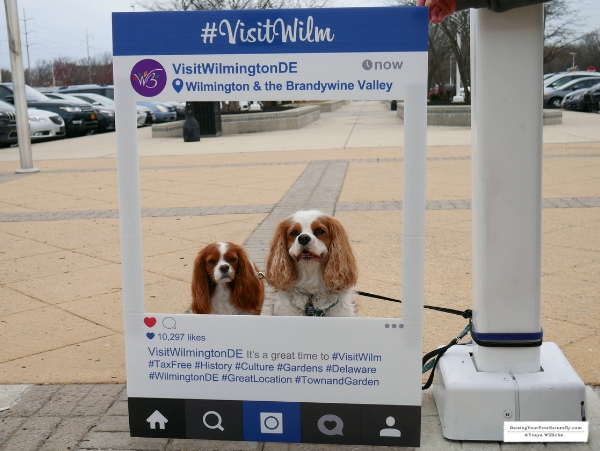 When planning your pet-friendly Wilmington and the Brandywine Valley vacation, visit the Greater Wilmington Convention & Visitors Bureau to help plan the perfect trip. 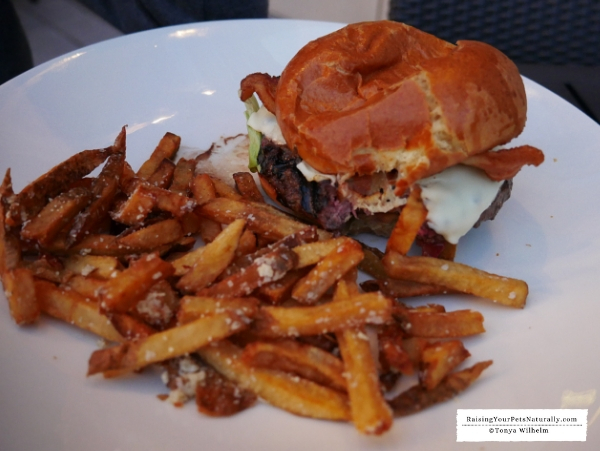 Oh my gosh totally off subject but that burger and fries looks awesome! 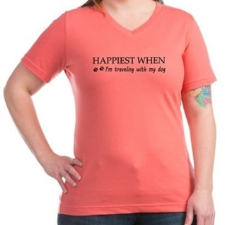 Of course, coming from the pregnant lady! LOL. 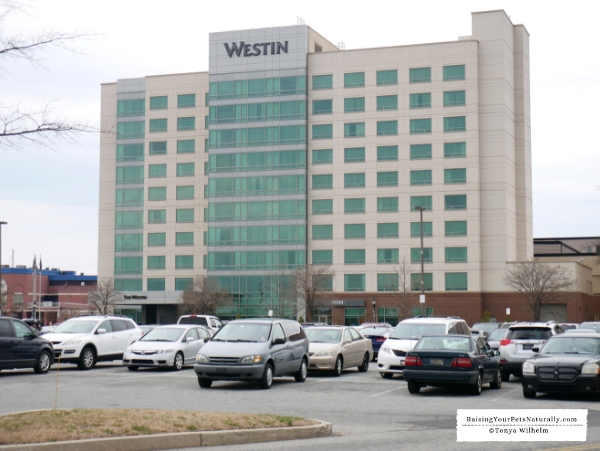 Thanks for sharing all this information; the Westin looks awesome! Hahaha Not off subject. The food was amazing! The Westin was a great hotel. 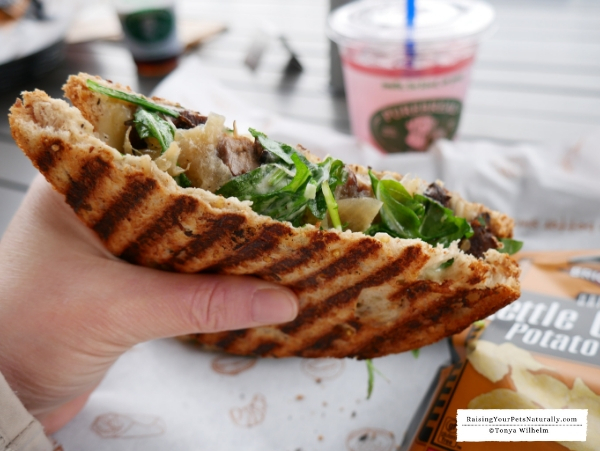 That Turkey Club panini style looks so amazing! Thank you for sharing all this info. It was! I could eat one about now. Happy to share such great spots. Oh wow! That two looks so enjoying and they really love taking pictures, looks so cute for me. I am felt hungry with those foods. Yummy! Thanks, Gladys. Oh, the food was just super! Wow, this place looks incredible. There’s so much to do and see there! Looks like a brilliant place to take my dogs. You should really go to Delaware! Wilmington was an amazing spot. I hope we have more dog-friendly places like this in Singapore. Many of the restaurants and shopping centers do not allow pets. Unlike countries that I have visited in Europe and America. Dogs also go shopping with their owners. The pictures at the Delaware welcome sign look super cute, they really know how to pose for you. LOL. I hope my dog does that for me too, he only pay attention when I have the treat on my hand. 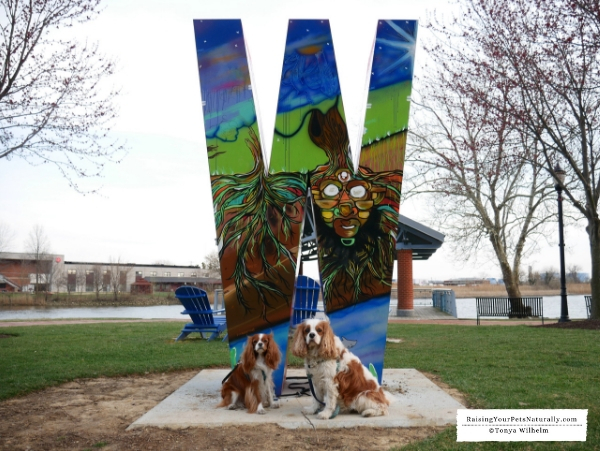 It looks like there is plenty of dog friendly things to do in Delaware! That food looks delicious. We had so many choices! 2 more blog posts coming up about our Delaware trip. The food was amazing. Wow wow so much fun and even the pet are not left out. It’s really beautiful just wish I had dog here. Your dog must be so happy having this treat all to himself. Yes. 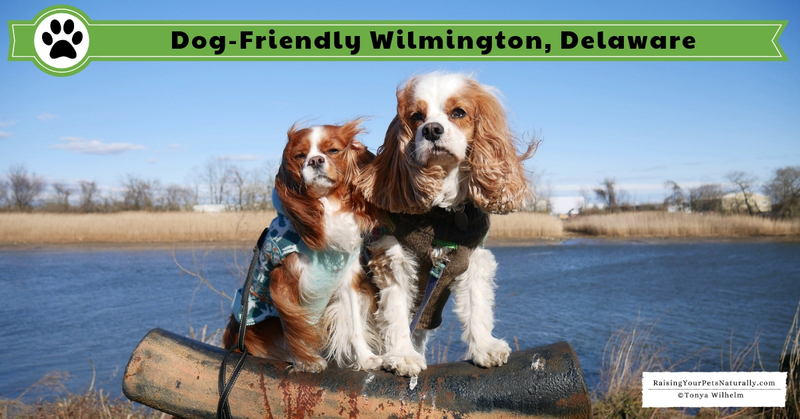 Wilmington and the surrounding area was so dog-friendly. The food was amazing. I’m ready to go back. Thanks, Pati! We had a lot of help from the Greater Wilmington Convention & Visitors Bureau. They were a wealth of information! That sandwich that you ate makes me drool when you describe how it tasted. Good to hear about this pet friendly place. haha I’m glad. It was definitely drool-worthy! Your dogs are just so adorable!! 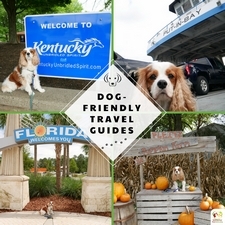 I love that you were able to find these dog friendly places and take them along with you. They really are like family…I hate leaving my little one home. Thank you. I totally agree. I don’t travel without Dexter! Thank you. You should take her!